Join Leslie with Focus on the Family on October 23rd and 24th as she discusses "The Emotionally Destructive Marriage". Free Seminar: Leslie will be doing a free seminar on "The Emotionally Destructive Marriage" at 7pm ET on Friday, October 25th at Faith Church in Trexlertown, PA.
**Join us at 6:30pm for a Meet & Greet and book signing. David cries out to God, “Please listen and answer me, for I am overwhelmed by my troubles… My heart pounds in my chest. The terror of death assaults me. Fear and trembling overwhelm me and I can’t stop shaking. …It is not an enemy who taunts me—I could bear that. It is not my foes who so arrogantly insult me— I could have hidden from them. Instead, it is you—my equal, my companion and close friend” (Psalm 55:2,4,5,13). Sadly we’ve sometimes failed to validate the destructive consequences of living with a foolish, argumentative, angry, deceitful, contentious, indifferent, hard-hearted, or evil person when the Scriptures are quite clear that the effects are real. The psalmist said, “Their insults have broken my heart and I am in despair” (Psalm 69:20). I wonder if sometimes we haven’t valued honesty as much as we preach it. When a woman or man goes to their church leadership and discloses what’s going on at home, he or she hopes to be supported and validated but for some individuals, that’s not their experience. Instead, he’s been scolded, shamed or shunned. She’s been told to bring her husband in for his side of the story. But how can a person speak honestly with a spouse present if they are afraid of what will happen when they get home? She’s been told that she needs to be more submissive and try harder to make things work. He’s been told that there is nothing in the Bible called emotional abuse and therefore what he’s experiencing has no validity. Abused individuals have been told that God wants them to somehow figure out how to make their marriage work because God hates divorce. By our words are we telling her we don’t want to get involved or to help? Do we inadvertently encourage her to keep quiet, placate, and pretend? And, if she refuses and gets persistent or demanding in her plea for our help, do we start to label her aggressive, contentious, rebellious, unsubmissive, deceitful, or unstable? I think sometimes we’re afraid to get involved because if we open our eyes to what’s going on in some homes we’re not sure what to do. We’ve valued the sanctity of marriage over the safety and sanity of the people in it. 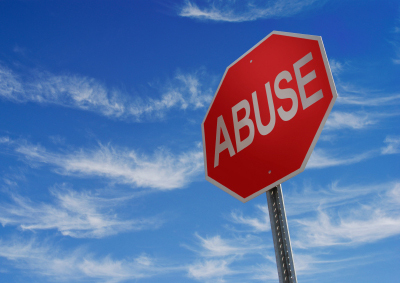 Therefore we’ve encouraged women (and men) to put up with abusive behavior rather than speak up or stand up and have our biblical categories challenged. Yet, Jesus commended the persistent widow in Luke 18, who kept pestering the judge for legal protection against the injustice she was experiencing. October is Domestic Violence Awareness Month. God has put the church together not only to model a loving family to a broken world, but also to model justice and protection when one of its members is destructive and unrepentant toward another. Am I Being Manipulative or Am I Implementing Consequences? Question: I still feel stuck when it comes to asking my husband for changes in his attitude or behavior. He has asked for specifics so he can see what I am referring to in what he calls a “blind spot.” I sense the need to define it also. I do not want to manipulate; so how do I ask for action yet not manipulate? If I spend time away or separate in some way to let him know this is serious and I am asking for a response, aren't I forcing my hand? My request? I think part of it is that I need a plan if he says "no" and sticks to that. He has to have the freedom to say “no”, but that involves consequences and raises the same type of question again: How do I give consequences and not cross the boundary into manipulation or sounding peevish (well, since you won't, then I will...). I feel like if he continues as is, I need time for balance away from the chaos for myself. I do check myself by asking: Am I handling this biblically? Am I being subject to authorities with respect, gentleness and a quiet spirit (I Peter 2)?. Yet, am I doing well, which I think probably includes more than tolerating and peacekeeping. I don't want to put the tools of boundaries before God's leading. Answer: I appreciate your question and the heart-felt anguish and thoughtfulness in trying to discern your own heart’s response. Let me make sure I understand what you’re confused or unsure about. You ask your husband to do something or change something that you would like him to do or change. You want him to have the freedom to say “no” if he doesn’t want to. But then, where does that leave you if he doesn’t change? You don’t want to manipulate him into saying “yes” by giving him a consequence. But on the other hand, if you have no consequence, that seems to minimize the seriousness of your request that changes must be made. Without more details on the specifics you want changed, I can’t answer yes or no because I can think of examples where it could be either. Therefore, I will just respond theoretically and give some examples. First, there are many things that we might like to see our spouse change that have little or nothing to do with our safety (physical, emotional, financial, spiritual or sexual). I might want my husband to be neater with his papers around the house or help more with household chores. These are legitimate requests that might even bring some consequences if he chooses to not change, but they would be mild and they usually do not threaten the stability of the marriage. For example, if he doesn’t want to be neater with his papers, a consequence might be that he can’t find the bills he needs when they are due--especially if I gather them all together and put them in a single box in his office instead of leaving them spread all over the kitchen counter. Leslie will be doing a free seminar on "The Emotionally Destructive Marriage"
Experiencing Gods Presence: Learning to Listen While You Pray by Linda Evans Shepherd. Plus see the winner of the previous give away! Leslie will be doing a free seminar on The Emotionally Destructive Marriage at 7pm ET on Friday, October 25th at Faith Church in Trexlertown, PA. In this bold and life-transforming book, Linda Evans Shepherd shows how to create a more vibrant, personal relationship with God. She explains how to develop a dialogue with God, continually seeking him out and seeing him at work in our lives. "Those desiring a closer, more personal relationship with God will find that he speaks to us every moment, just not always with words" says Shepherd. A fulfilling prayer life is more than just regularly talking to God or checking items off a prayer list. God loves us so much that he wants us to draw close enough not only to talk but also to listen. Knowing how to pray will make an incredible difference in our relationship with God and also in our lives. 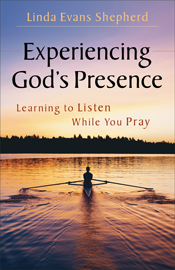 Steeped in Scripture and personal stories of answered prayer, this book also includes sample prayers and action steps which can be put into practice and help readers develop a more intimate relationship with God. To win this book, please email your name to assistant@leslievernick.com with "Book Give Away" in the subject line by midnight Sunday, October 20th. The winners of What Women Should Know About Facing Fear by Christin Ditchfield are are Pam P. of Kitchener, Ontario and Amy V.
"Coaching with Leslie was a gift from God. Through our work together, I learned to develop a closer relationship with God, developed skills to manage my emotions, and came to accept and like myself the way God created me. My everyday life has changed, and I am so much happier. Thank you, Leslie. I look forward to working with you again!"